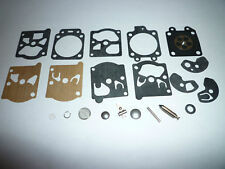 New Carburetor Repair Rebuild Kit for ZAMA C1Q-E7 C1Q-E7A C1Q-E10 C1Q-E12 A150. 1 Carburetor Rebuild Kit. Notes: The real color of the item may be slightly different from the pictures shown on website caused by many factors such as brightness of your monitor and light brightness. Chainsaw Carburetor For STIHL 023 025 MS230 MS250. Type: Carburettor. Stihl 023 025 MS230 MS250 Walbro, and other machine fits this model engine. 1 x Carburettor. Easy to install, high effiency. Color: Silver. Replace ZAMA C1Q-S66 C1Q-S71 C1Q-S97 A C1Q-S143 C1Q-S153 C1Q-S186 C1Q-S186A C1Q-S186B. HIGH QUALITY CARBURETOR. 1PC CARBURETOR. Replace OEM NO.4140 120 0619. This is the Non original part suitable for. 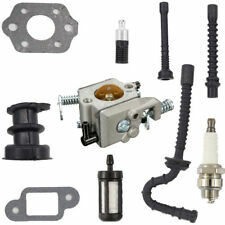 Walbro K10-WAT Carburetor Rebuild Kit for WA and WT D10-WAT. 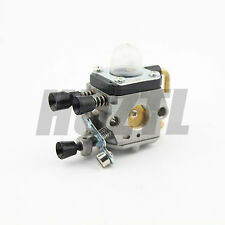 New carburetor for Chinese chainsaw 5200 4500 5800 52CC 45CC 58CC. Fits for Chinese chainsaw 4500 5200 Timbertech, Silverline, Taurus. 1 Carburetor. Note: The real color of the item may be slightly different from the pictures shown on website caused by many factors such as brightness of your monitor and light brightness. ZAMA: C1T-EL41A, C1T-W33, C1T-W33A, C1T-W33B, C1T-W33C. Fits: HUSQVARNA 235, 240, 435, 435E. Pictures are accurate; you will get what you see in the picture. 100%Brand New High efficiency A great replacement Fitment: Fits STIHL Chainsaw 017 018 MS170 MS180 Replace OEM part no. STIHL 1130 120 0603 Type: Carburetor Model: MS170 MS180 017 018 Quantity: 1 piece Material: Metal Dimension: 5 x 3.3 x 2. Carburetor Kit for Tillotson RK-13HU/RK-14HU. HU model carburetors. Stihl chainsaws. Replace part number: A09159, 000998271. Replace Walbro WT-673. More to get that. Genuine Walbro WT 215 Carburetor. will fit on a Stihl 021, 023, 025, MS210,MS210C. This carburetor is the. This carburetor. 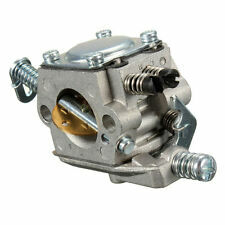 New Carburetor for Wacker Neuson WM80 BS600 BS650 BS700 BS600S BS50-2 BS60-2 BS70-2. Wacker Neuson WM80 BS600 BS650 BS700 BS600S BS50-2 BS60-2 BS70-2. 1 Carburetor. RA RB6 RC6. You are purchasing a Tillotson Repair Kit. Used on the following Tillotson Model Carburetors. 600 600A 610 6-20. That you have the model Chainsaw listed below. Application: Chainsaw. QUALITY STIHL MS361 CARBURETOR, WALBRO HD CLONE. 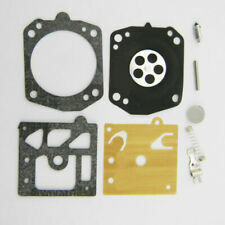 NEW HIGH QUALITY MACHINETEC CHAINSAW CARBURETOR SERVICE KIT FOR STIHL MS210 MS230 MS250 023 025 021. 1 x Carburetor. 3 x Carburetor Gaskets. 1 x Fuel Filter. 1 x Spark Plug. Features: Carburetor with Air Filter Fuel Line Repower Kit for STIHL MS290 MS310 MS390 029 039 Chainsaw. Canada Rate (item arrived) 0.0% 47.1% 31.4% 17.6% 3.9%. Rate (item arrived). United Kingdom. FUEL TANK 670, CHAMP, 1994-08 JONSERED. FUEL TANK 670, SUPER II, 1993-06 JONSERED. FUEL TANK 630, SUPER II, 1999-02 JONSERED. FUEL TANK 625, 1994-05 JONSERED. FUEL TANK 630, SUPER II, 1994-08 JONSERED. You will receive: (1) CARBURETOR REPLACES WALBRO HD-19C. REPLACES WALBRO HD-18D. REPLACES STIHL # 1127 120 0650, 1127 120 0604. 08S 08SE 08SEQ. You are purchasing a Tillotson RK-HL Repair Kit. Used on the following Tillotson Model Carburetor. Tillotson HL-166B HL-166C. and that the Carburetor is a Tillotson Model HL-166B HL-166C. 100% Brand New Aftermarket Carburettor Carburetor Carb Replace Parts for HUSQVARNA 61 266 268 272 272XP CHAINSAW Compatible : Models: HUSQVARNA Engines : HUSQVARNA 61 266 268 272 272XP CHAINSAW Material: Aluminum Alloy Package Include: 1 x Carburetor. Fit for McCulloch Mac Cat 335 435 440 Chainsaws. 1 Carburetor. Notes: The real color of the item may be slightly different from the pictures shown on website caused by many factors such as brightness of your monitor and light brightness. 1 Spark Plug. You are purchasing a Tillotson Repair Kit for Sach Dolmar. 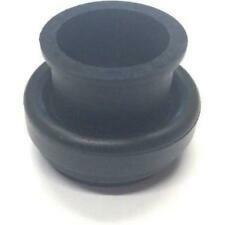 We also include the Flange Gaskets that are not in the factory Tillotson Kit. We also have most of the remaining parts for the OBSOLETE McCulloch Chain Saw and Generators. Proline® carburetor kit for Zama M1 M7 series carburetor. Replaces Zama OEM # Replaces McCulloch OEM # Carburetor repair kit. Carburetor gasket. Mini Mac 110 & 120 Model 600016 With serial number prefix starting with 11-, 12-, 13-, 14-, 16-. Parts are all genuine Walbro and McCulloch NOS inventory. The widely sold Walbro K10-SDC kit is used as a basic repair kit for all SDC series Carburetors. Used on the following McCulloch Chainsaws. Our kits contain other parts unique to specific SDC Carburetor models. 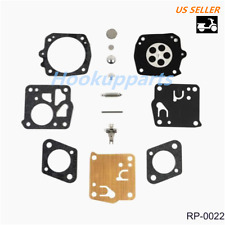 Replaces OEM Part #: 574719402 545072601. 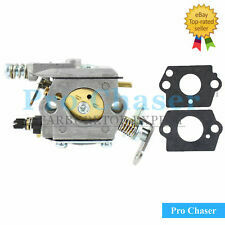 New Carburetor for Husqvarna 235 235E 236 240 240E Chainsaw. Fits for Husqvarna 235 235E 236 236E 240 240E Model as followings Husqvarna 235E Chainsaw(2008-01). Compatible With: fit for Echo CS300 CS301 CS305 CS306 CS340 CS341 CS345 CS346 Chain Saws. Carburetor WT-589 Carb A021000231 Fit for Echo CS340 CS341 CS345 CS346 Chainsaws. Item included: 1 x Carburetor. Part Numbers: 530069608, 530049700, 530-049700. Works with many Poulan, Craftsman, and Snapper chainsaws. Fits many Sears Craftsman, Snapper, and Poulan chain saws models including 1950, 2050, 2055, 2075, 2450, 2550, PP220, PP221, Preadator, and many more. NEW, NOTE THIS WILL NOT FIT THE ZAMA M1 CARBURETOR, THEY LOOK SIMALIER BUT THEY ARE NOT INTERCHANGEABLE. 1100CD 2100 2100CD 2101. You are purchasing a Tillotson Repair Kit for Husqvarna Chainsaw. Tillotson Carburetors. Application: Husqvarna Chainsaw. We have 1000's of new Carburetors and Repair Kits for the following. 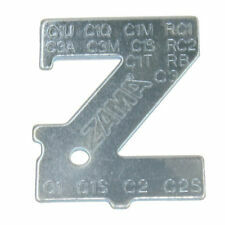 This is ZAMA part # RB-1 which fits Zama carburetor # C1-M2B (found on many Mac chainsaws). NEW, NOTE THIS WILL NOT FIT THE WALBRO MDC CARBURETOR, THEY LOOK SIMALIER BUT THEY ARE NOT INTERCHANGEABLE. Also fits the listed models followed by an A, B, C, D, E or 1. 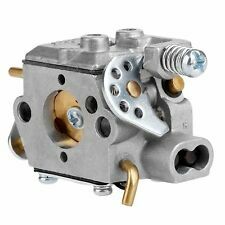 High quality carburetor carb for HUSQVARNA 61 266 268 272 272XP Chainsaw. Kit is for Tillotson kit part number RK-114HL. Used on Tillotson HL series carburetors This kit is compatible with E-20 or E-85 ethanol fuel. Complete kit, includes gaskets, diaphragm, needle & inlet lever.